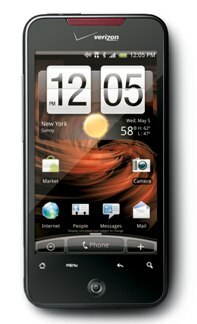 From everything that can be dug up on the web, the HTC Incredible is going to be available for pre-order from Verizon on April 19th. Speculation has been building over the HTC Incredible for months now. People have been guessing and predicting the release date for the HTC Incredible, but as the days passed on, we still had no solid date from Verizon. 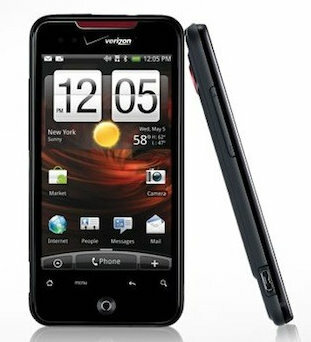 Today, Verizon actually showed a pre order page – a page where you can actually pre-oder your HTC Incredible. But this may have been a mistake on Verizon’s part. If you check out the Engadget coverage, you’ll see that Verizon started out with a full page, just like the one you see below. But then somewhere along the way, Verizon put a password on the page and took it offline so that nobody could view the page without proper access. Nonetheless, even if you can’t get to the page now (Click the link below), at least you can say that you knew about the HTC Incredible announcement by Verizon! Damn, here I was thinking that it would be released on the 29th. After reading this I think you are right, it says that it the saga starts on the 29th, but the phone is coming soon.. I think they are being intentionally vague. I sure hope it comes out on the 29th though, I have until the end of the month to take advantage of the smartphone upgrade offer. I don't think the image justifies the assumption that the pre-order starts on April 29. It says the next chapter in the Droid saga begins April 29. Sign up to receive more details on pre-ordering this device. It doesn't say pre-ordering begins on the 29th. It could be that pre-ordering will start whenever they expose the page. I think that if pre-ordering began on the 29th then it would say that. Besides, who announces a specific date to *begin preorders*? They didn't even make that big a deal out of the Harry Potter books' preorder. I still think the device becomes available on the 29th, as confirmed by the leaked Best Buy docs. i totally agree, arminius! An April 29th release date, not preorder date, is much more likely and logical from the page shown. For once I don't think that this is more rumor. I was able to get on and register before they took the site down yesterday. Plus I have friend who works at the Verizon call center who called me yesterday to let me know that the incredible is coming out on the 29th. The site has been on verizons page all day yesterday and is still on today, I have a friend who is an asst mngr at a corporate vz store and he said preorders will begin on monday the 19th and they will be shipped on the 29th overnight and I should get it the next day which is next friday. $299 with 100 rebate will make it $199. My wife is the main acct holder and she gets an addtl $100 off. So we will be getting two incredibles for $300, sounds good to me!